Did you know that over half of all Facebook users do not use Facebook in English? That's over 300 million prospects you will never reach without a globalized social media presence. More than half of all Facebook members do not use English in Facebook. Don't miss out on 300 million prospects! Reach them all when you globalize your Networking and Marketing in Facebook using IDX-Buzz. 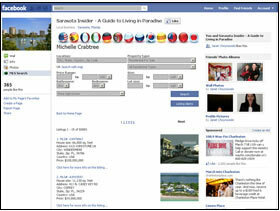 The IDX-Buzz Facebook App puts 18 Language MLS / IDX search right on your own Facebook Business Page. Click here to watch the Facebook IDX-Buzz video! Click here to see it live! This is only multi language Facebook IDX App! IDX-Buzz turns your Facebook Page into a Global Marketing powerhouse. Wherever your listings go, your branding and contact info goes along! 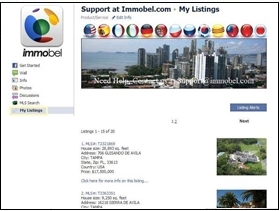 Listings to be shown in the "My Listings" Facebook APP can be entered directly into the Immobel system if we do not already receive them from a data partner.